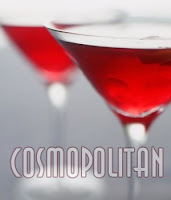 NYC Midtown is exploding with energy and excitment this summer, and in the spirit of this excitement we’ll treat you to a refreshing Cosmo with every Best Guest booking until September 14th, 2010. Start your cosmopolitan getaway right at the Martinique hotel bar before whisking away to one of Manhattan’s many upscale restaurants, lounges & bars. Offer is for 20% off the Hotel Standard rate for stays up to September 14th, 2010. This offer is not combinable with any other offer or promotion. Subject to change without notice.